Do these lyrics get stuck in any other Mums’ heads? Fireman Sam has been on series record for 2 years in our house. 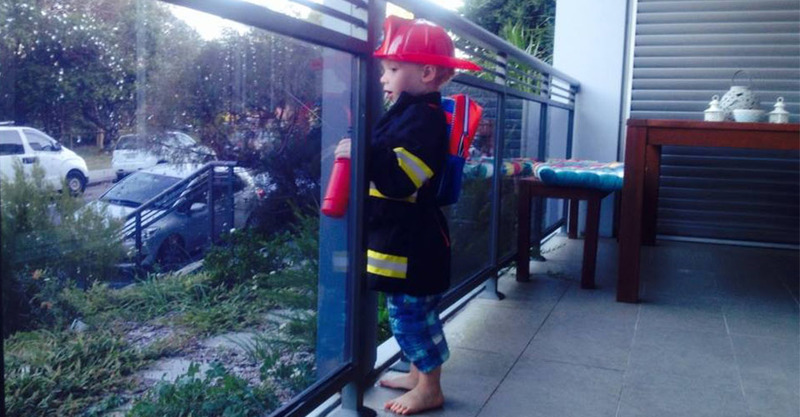 My son’s love of anything and everything related to Fire Stations began before he was even two. At 3.5yrs, his obsession shows no sign of waning. He has the Fireman dress up complete with fire extinguisher that he likes to squirt at unsuspecting passers-by when I’m not looking. There’s an entire toy box dedicated to fire engines and he continually mentions his Fireman Sam 3rd birthday party 6 months on. Still finding our feet in Sydney last year, we managed to completely miss what would be the highlight of my son’s world: the NSW Fire Station Open Day. Determined not to miss this year’s event, the date has been in our diary for months. 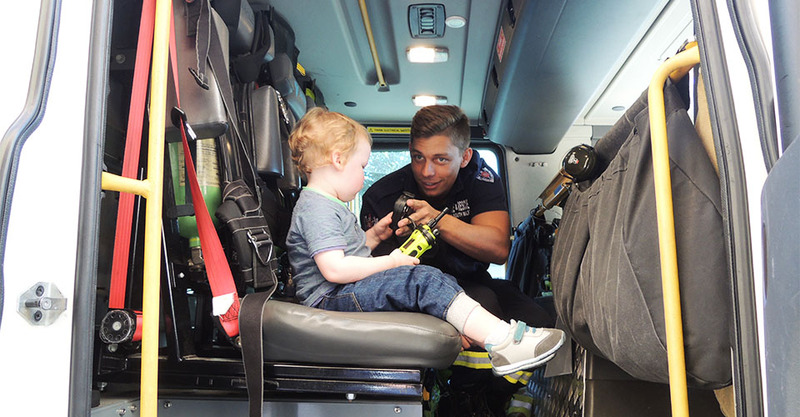 Along with his fellow Fireman-obsessed friend and mum, we were invited to Randwick Fire Station a week before the 2016 Open Day to meet the crew and find out a bit more about what happens on the day. As we turned up outside the impressive 1908 building, the huge roller doors were opening and Station Officer Walker was standing there ready to welcome us. He introduced us to his team – our boys were in awe. Here was a real-life Station Officer Steele alongside a real-life Fireman Sam and Fireman Elvis! On the day, as well as meeting the crew, visitors will be given a tour of the station, including the control room, sleeping quarters and gym. It was hard for the boys to concentrate on anything but the adjacent fire truck towering above them. First, we took a walk around the truck looking at all the equipment, hoses, ladders and all the firefighter clothing hanging on the hooks ready to be grabbed quickly. Then came the highlight of the day: the chance to climb into the cab and sit next to Firefighter Terry. He showed them some of the equipment and got them to have a go on the walkie-talkies. There was even the opportunity to jump into the driver’s seat. Then it was time for Fireman Terry to bring the fire engine to life. The engine roared, the lights were flashing, (they didn’t sound the sirens – I think our boys would have jumped out of their skin). The boys stood outside and watched as Fireman Terry carefully navigated through a very narrow garage door and onto the street. The Most Exciting Event Of The Year! If you have any firefighter enthusiasts in your household this event will be unforgettable. 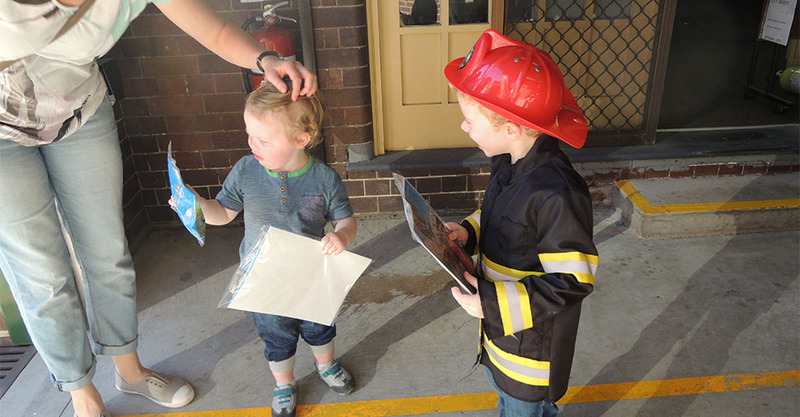 It’s not just for little ones, NSW Fire Station Open Day is open to all ages. 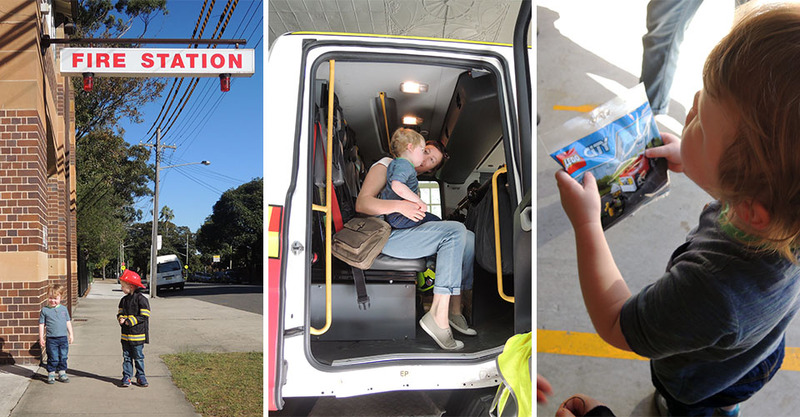 Older kids (and adults) will love learning about the inner workings of their local station. Take the whole family along – it’s a fun and a completely FREE activity. NSW Fire Station Open Day is from 10am-2pm on Saturday 20 May 2017. Over 80,000 visitors are expected this year. We recommend you get there as early as possible as the free Brigade Kids activity books are given out on a first-come-first-served basis while stocks last. 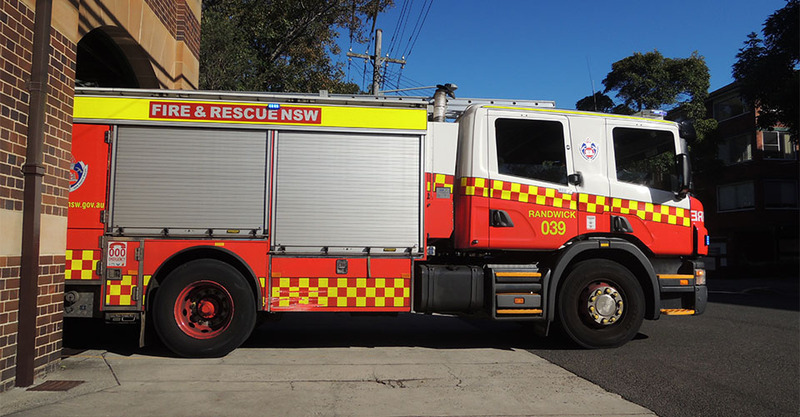 Remember that NSW is Australia’s busiest fire and rescue service and that Open Day does not mean its services are not available. If there is an emergency, the crew and engines will be called out. Depending on the size of the station and team, this may mean the event comes to a temporary close. While the visit is still fresh in your mind, make sure you check your smoke alarms and run through some basic fire safety with your kids. I ran through our fire escape exit plan with my little boy. This sounds like a wonderful day out for "Fireman Sam" enthusiasts. A well written auricle!